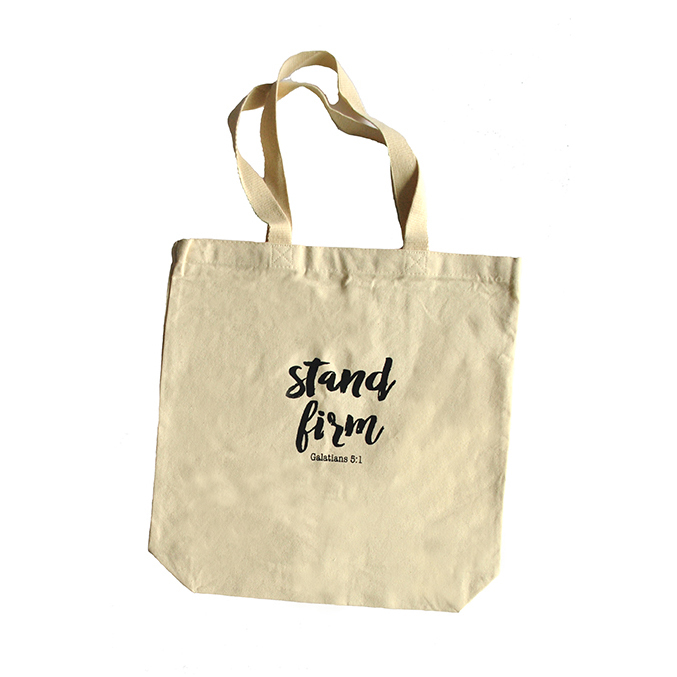 A perfect size for both day trips and every day use, this 15-by-3-by 15 canvas bag declares your choice to stand firm in your faith. Whether you're going to the beach or to the library, this durable canvas bag is perfect for day trips or every day use. 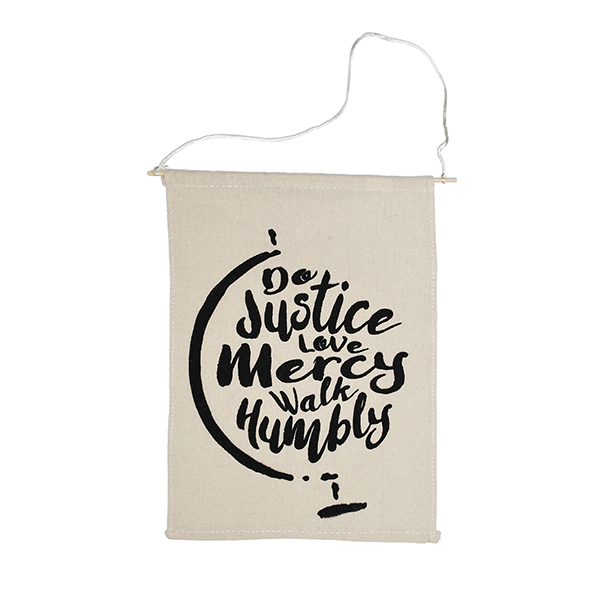 Measuring a generous15-by-3-by-15 with 21" handles, the Stand Firm Bag created by refugee artisans in Nashville is sure to open opportunities for conversations about why you can stand firm in your faith. Begin Anew’s mission is “to empower individuals in Middle Tennessee to overcome obstacles caused by poverty by providing education, mentoring, and resources.” Begin Anew’s south Nashville, TN, location is a Christian Women’s Job Corps site where refugees learn to speak English, develop job skills, and receive words of eternal hope. 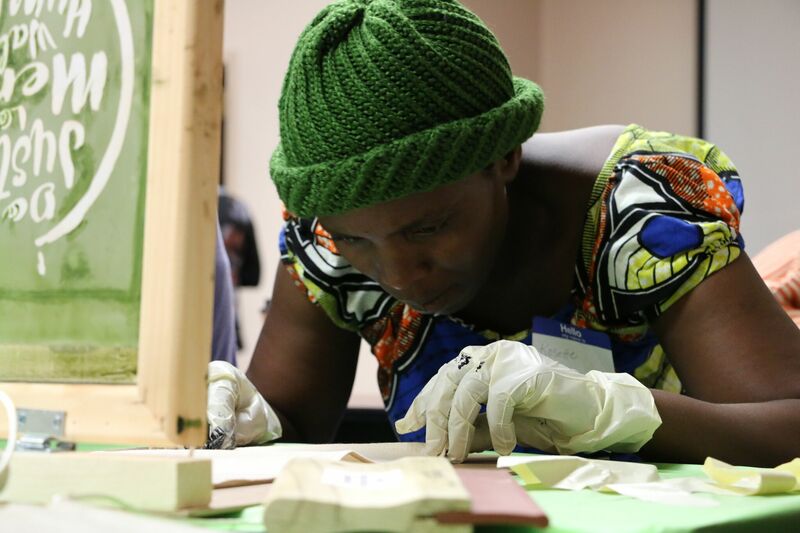 With the support of WorldCrafts, the Begin Anew Refugee Artisan Group provides sustainable incomes that empower and transform the lives of those who’ve had to flee their home countries due to war, terrorism, and persecution.